By the time I was 15, I had nearly forty military rifles and pistols in our basement in southwest Detroit. Surplus firearms were dirt cheap, and I earned plenty of money through my paper route and other odd jobs. My dad and I built several racks to keep up with my collection, and he taught me the mechanics of weapons and how to restore them. Often, he would drive me to rifle ranges or to the nearby woods, where we’d fire the weapons. One day, I realized I could make a semiautomatic rifle from one of my ten-shot .303-caliber bolt-action British Enfields. 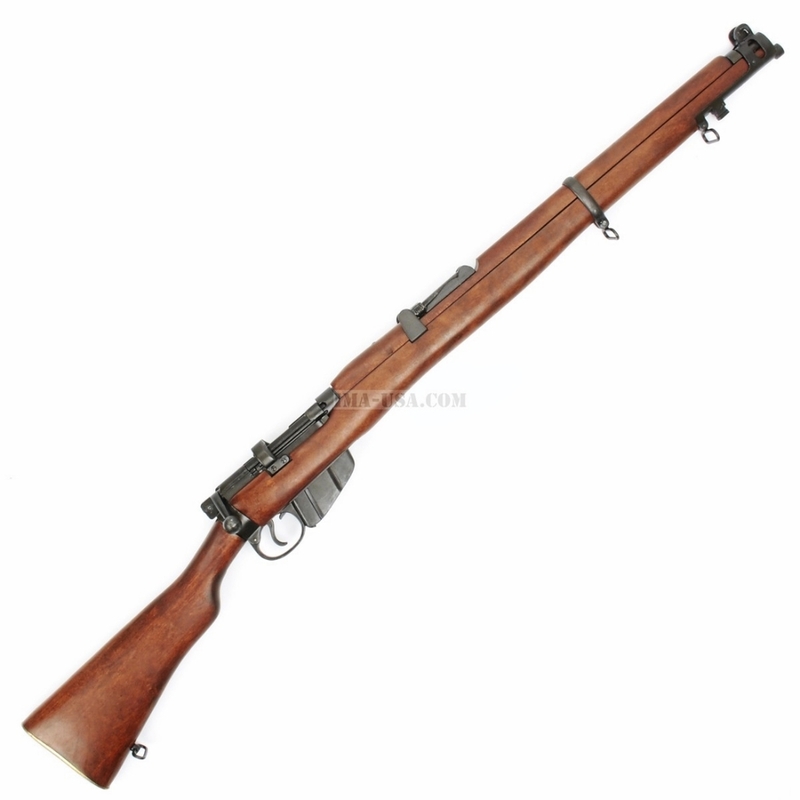 The Lee Enfield, the standard firearm for British forces from 1895 to 1957, is an extraordinarily solid rifle with a beautiful brass buttplate (changed to aluminum in World War II). I had plenty of firearms books, but I got this idea all on my own, from playing endlessly with the weapon’s action. It wasn’t all that tricky to work out, and I was surprised the British hadn’t thought of it in the First or Second War. The Americans had done it by fitting their 1903 Springfield bolt-action rifle with the Pedersen device. This gave the infantryman vastly more firepower: instead of five overpowered rifle cartridges, he could fire forty smaller .30-caliber pistol cartridges—adequate for the close quarters of trench warfare—as fast as he could pull the trigger. But my idea would be much simpler. The Enfield wouldn’t need a hole milled through the receiver to create an ejection port, and it could still fire the same full-size rifle cartridge without replacing the weapon’s bolt to install a semiautomatic device such as the Pedersen. Having a dozen Enfields already, and with thousands of surplus ones still available through the mail for only thirteen dollars each, I knew that my invention would soon have me rolling in dough—which I could use to buy even more weaponry! More importantly, I knew that my dad would be proud of me. After all, the first rifle I bought through the mail was an Enfield, which I got just by lying on the form, saying I was 18. My dad didn’t mind, and we spent many hours in the garage “sporterizing” it. First, we removed the front bayonet lug and the upper stock, which covered the barrel. Then we cut down the forearm (the lower stock beneath the barrel) by about half so it would look like a sportsman’s hunting rifle instead of a military weapon. We then sanded and stained the forearm and buttstock and coated them with gloss varnish. We also buffed all the metal parts to get rid of the dull black military finish and cold blued them so they would be shiny black. My dad finished it off by fitting the front of the forearm with a clear black plastic cap. At the local hardware store, I bought a stiff coil spring about ten inches long and an inch and a half in diameter. The coils on the spring were almost a quarter-inch thick, and it was hard to compress. I also bought an eight-inch length of threaded rod—basically, a bolt with all threads and no head. In the garage, I used my dad’s drill press and bored a vertical hole straight down through the buttstock, about midway between the firing mechanism and the buttplate. Running the threaded rod through the hole so that it protruded three or four inches above the buttstock, I secured it to the stock with two nuts and lock washers. Then I secured one end of the long spring to the rear of the rifle’s bolt (which slips over the cocking device). Then, at the other end of the spring, I forced the protruding threaded rod up between the spring’s coils, at a right angle to the spring. Now I had a long, stiff spring, in line with the chamber and barrel, running back from the rifle’s bolt to the threaded rod that protruded up from the buttstock. It was simple enough, and once I ground off some headspace from the action, it was ready to go. If I kept the rifle’s bolt unlocked and fired the weapon, the chamber pressure would force the bolt backward, compressing the spring and extracting and ejecting the spent cartridge. Then the bolt would rebound forward, chambering a fresh round and recocking the striker. All I had to do was keep pulling the trigger. Test firing would be simple. I slept in the basement, where I kept all my weapons. My dad and I had cleaned and painted our old coal room and turned it into my gun room. Underneath my workbench, I had stockpiles of ammo and a big log to shoot into, to make sure my weapons were functioning properly before I started restoring or customizing them. Just when I was starting to load the Enfield’s magazine, my dad, who had gotten home from work, came in the side door. He stepped downstairs, and his thick, weathered hands picked up the rifle and manipulated the action. To my great surprise, I could see he was upset, because when he was angry he had a habit of biting his tongue. “Robert, look at the problem,” he said. And I could hear the little quiver in his voice. “No!” he insisted. “We have to get rid of this rifle! It’s ruined, and it’s not safe now.” And upstairs he went, rifle in hand. And that was the last I ever saw of that Enfield. Maybe my dad understood my mechanical curiosity and my unquenchable thirst for knowledge of how things work. But this I know for sure: my dad never expressed anger or disappointment in me. That incident with the rifle taught me a physics lesson that is indelibly etched in my mind. It’s known as Newton’s Third Law of Motion: “For every action there is an equal and opposite reaction.” The 174-grain bullet, propelled by a .303 British Enfield cartridge with thirty-eight grains of nitrocellulose gunpowder and a chamber pressure of over 20,000 tons per square inch, would have shot out of the muzzle at 2,500 feet per second as the bolt flew backward at a similar velocity—leaving a gooey, bloody mess in our basement, right where my head had been. It’s said that God protects fools and little children. But on that day, it was my dad, coming home from work right on time, who saved me. We did this to two rifles before I realized that we were actually lowering their value. Our sporterizing efforts would have been better spent rehabilitating the rifle back to its as-issued condition.